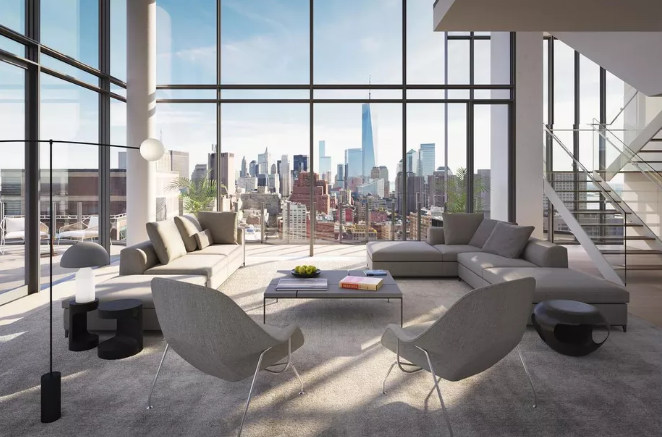 Travis Kalanick, co-founder and former CEO of the disruptive transportation network Uber, bought the $40 million penthouse perched atop Renzo Piano’s 30-story 565 Broome Street building in Soho. 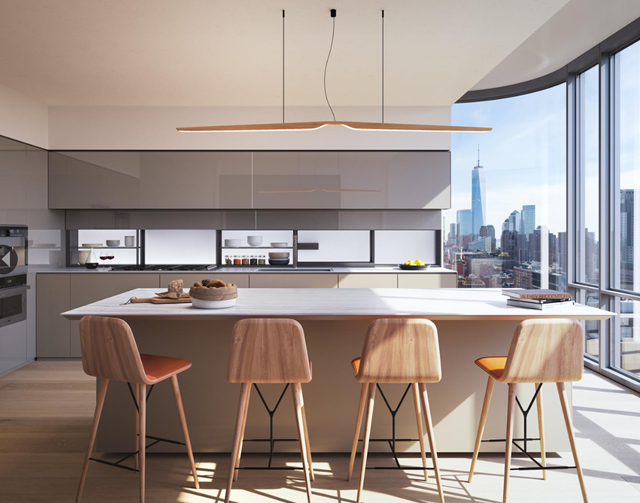 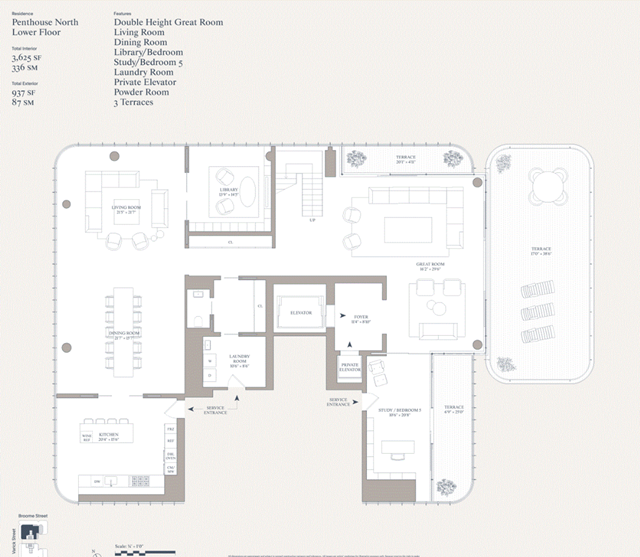 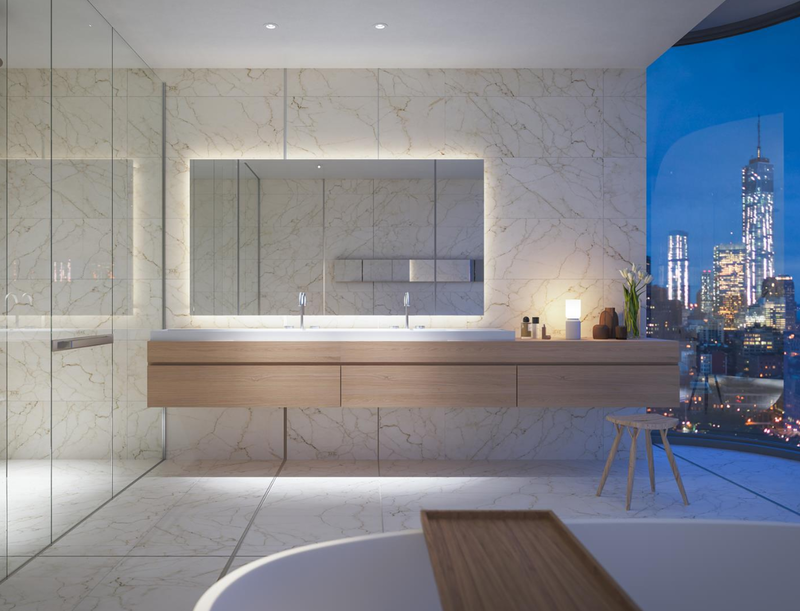 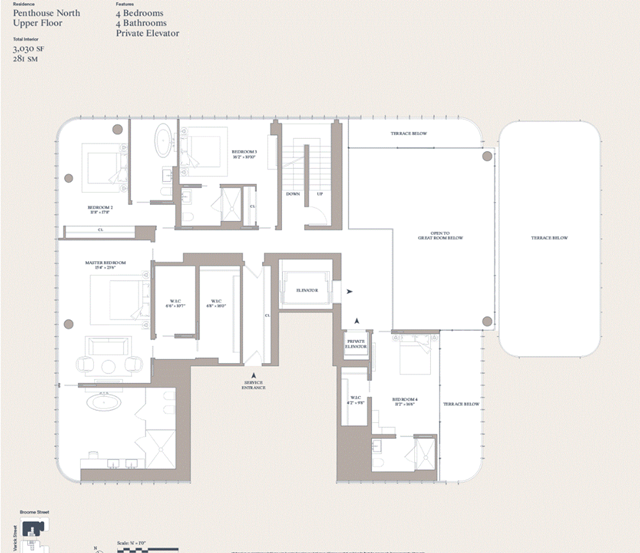 The 6,655 square foot, 4 bedroom, 4.5 bathroom full-floor duplex penthouse features a private elevator, and floor-to-ceiling 16-foot windows framing panoramic views of the City. 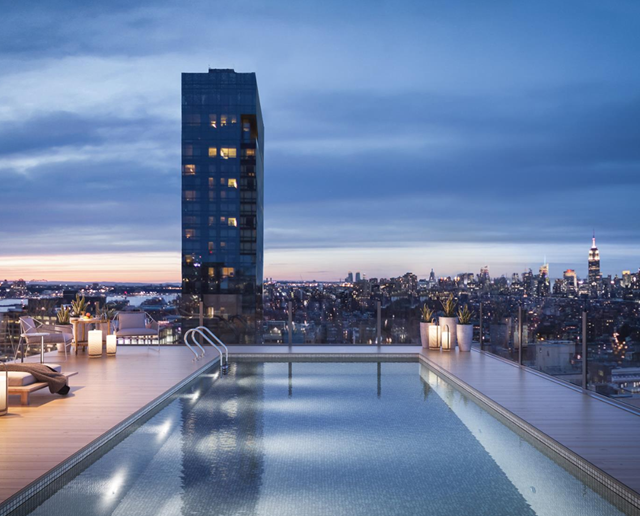 Its outdoor living space is unmatched with two terraces, including a 2,500 square foot private roof terrace with a 20-foot heated outdoor pool.